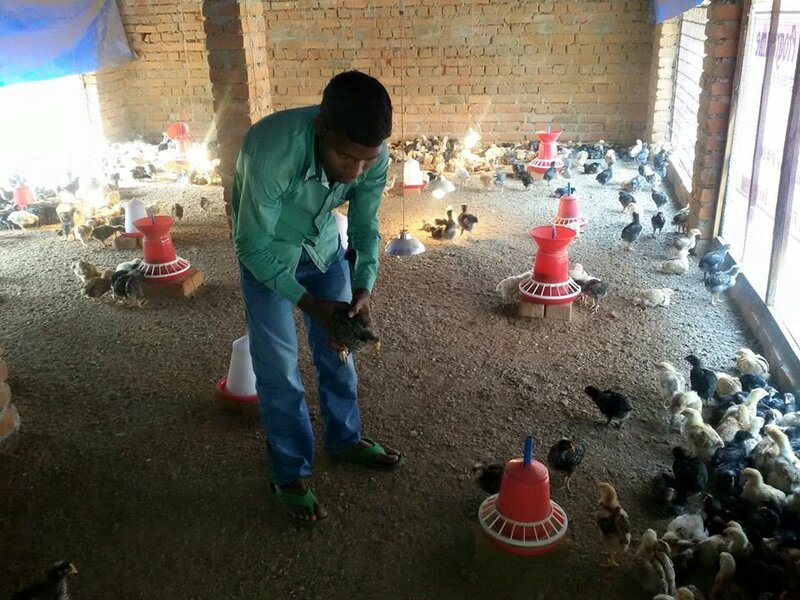 The training on Poultry trade given to six Blind youths in Majhihira Ashram Campus for last one week under the Social Inclusion Program supported by Sightsavers has ended today. Now all these youths (basically all of them are blind) will go back to their respective houses with 50 chicks each and will start their own enterprises in the already made sheds. This is perhaps rarest of its kind in our state, if not in our country. Rathu Sing Sardar, one of our blind student in the Sightsavers’ supported Inclusive Education Program, after completing his basic schooling, was continuously urging us to find a livelihood for him, else he will be compelled to accept the destiny i.e. begging. We were dead against of this fatal decision of him. Fortunately, Sightsaves approved our Social Inclusion program for Blind & Low Vision youths, at this juncture. Under this project, a vocational training center in MNBEI at Majhihira was opened where many trades including Poultry were kept as training component for Blinds. We called Rathu to take charge of our Poultry unit along with our Livelihood Promoter Jairam Mardanya. Rathu was given 15-day training of TOT at the initial stage and soon after he was seen managing the whole unit including giving training to his fellow blind friends (basically the girls) irrespective of the fact that he himself can’t see, only realises some lights and so on. I spent few hours this morning with Rathu in that poultry shed and I am convinced that he can be showcased as success story for social inclusion.